Office space can say a lot about a company’s culture, values and attitude. No longer do offices need to be crammed with cubicles and bland, beige decor. Many of the Silicon Valley tech giants, such as Google and Facebook, have been leading the charge in “progressive” office spaces filled with open areas, lots of communal work space, and in some cases beer on tap and nap pods. The idea behind many of these features in is that employees are more productive and creative when they are comfortable and happy. So here are a few offices that might just make you a bit jealous, and prompt you to convince your boss that some renovations are in order. Canada’s e-commerce giant is headquartered in Ottawa, but has offices all over the country, including large offices in Toronto and Montreal. Its offices all have a the laid-back feel that you’d expect from a tech company, with its head office boasting a different theme for each floor. 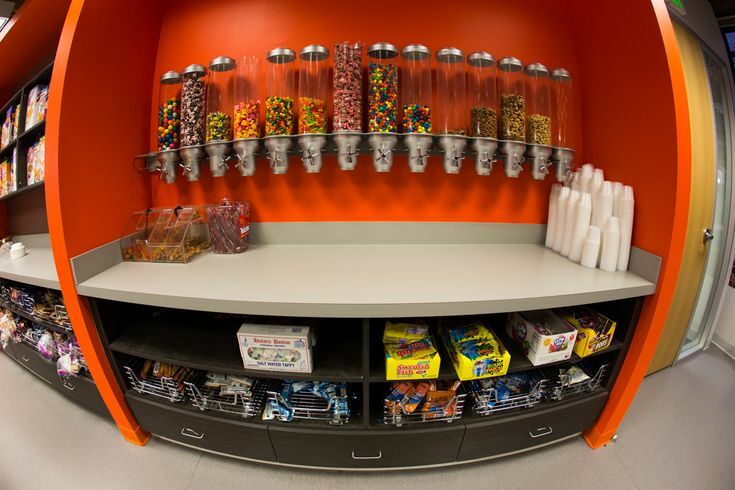 Google is known to be the originator of the whole “cool office” trend. Google recieves about 2 million applications each year. It’s amazing offices and unique culture are what help set it apart from everyone else. This was even showcased in movies like The Internship with Vince Vaughn and Owen Wilson. The Las Vegas based online shoe retailer is known for its family atmosphere and amazing customer service. So much so that they even have companies from all over the world come in to learn about how their customer service team works. Hootsuite in fact has three HQs in Vancouver. The social media management company uses one HQ for its engineering and exec team, one for sales and marketing, and another for design. Probably the most grandiose office on our list, Corus Entertainment’s Toronto office certainly takes the term “open concept” to the next level. The media giant owns networks such as Global, HGTV, Food Network, History and Showcase. A shoe-in to make any list of interesting offices, Facebook’s office in Toronto has a colourful vibe with graffiti covered walls. Hubspot’s Cambridge, MA office follows the same mould as many other tech companies on the list, making it one of the most desirable places to work for many young marketers. 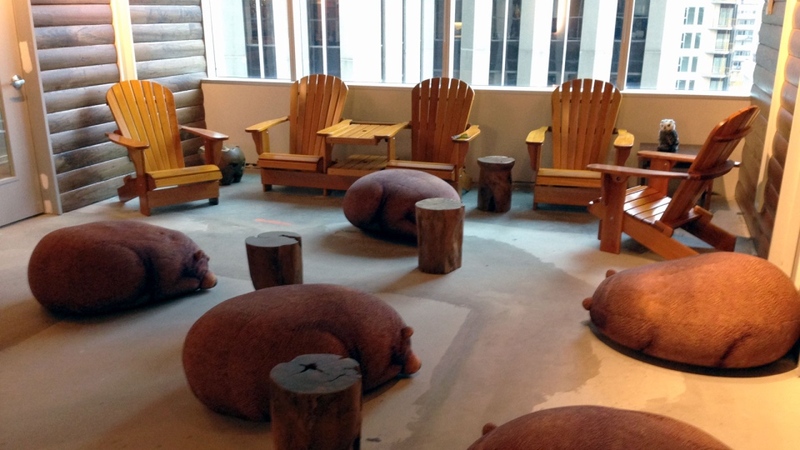 The professional networking site’s office is anything but stiff and boring. It features lots of shared workspace and a game room! Last but not least, is our very own office located in Moncton, New Brunswick. We might not yet have some of the lavish features of Google, Facebook, or a 100 foot slide, but we love our shared workspace and there is definitely never a dull moment around here. We have plastered many of our “we believe statements” on the walls to remind us of why we do what we do.